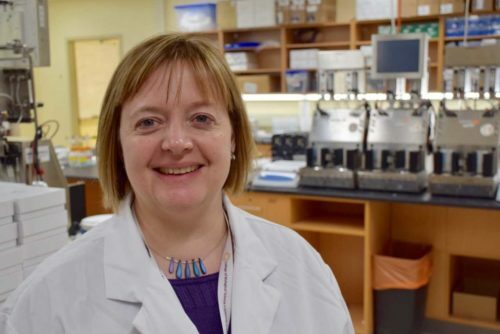 Prof. Emma Allen-Vercoe, Molecular and Cellular Biology, was featured on the popular CBC radio program Quirks & Quarks on Jan. 25. The segment will be re-broadcast Jan. 30 at 3 p.m. Using the robo-gut, Allen Vercoe is developing potential microbial therapeutics that could treat everything from infections with C. difficile (a pill she developed is now in clinical trials) to inflammatory bowel disease to depression and anxiety. Hosted by Bob McDonald, Quirks & Quarks is an award-winning radio science program heard by a national audience of nearly 800,000 people in Canada and thousands more around the world via podcast.